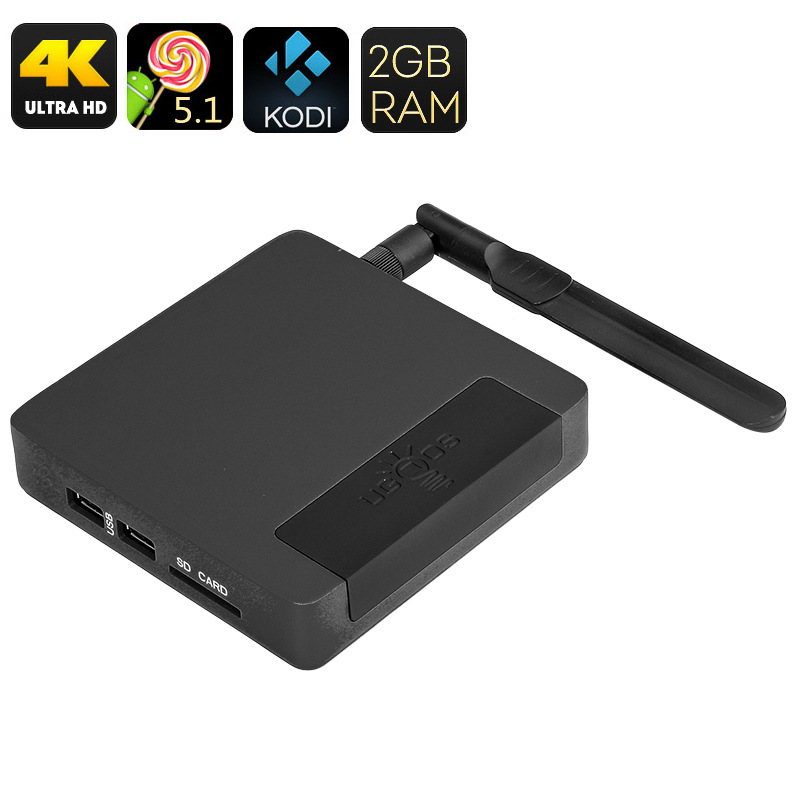 Successfully Added Ugoos AM1 Android TV Box - Amlogic S905 SoC, 2GB RAM, Mali GPU, Kodi 16, UHD 4K, Android 5.1, Wi-Fi to your Shopping Cart. The team at Ugoos have done it again and come up with a brand new stunner. The AM1 TV box has the new Amlogic S905 processor, Amlogic say that this was specifically designed for home entertainment, this SoC is backed up by 2GB of RAM for a splendid performance. The Ugoos AM1 is a super fast Android media centre and that 64 Bit 2.0 GHz processor is key to its performance as it uses a Penta Core Mali 450 GPU making it well suited to video playback an letting you enjoy Ultra HD 4K resolutions at up to 60 FPS. This compact TV box even comes with the latest Kodi v16 (previously known as XBMC) installed. Kodi should need no introduction as its perhaps the most used and fastest growing media player for TV boxes. With this powerful application you will gain access to hundreds of add ones, with an almost endless range of channels for movies, radio, TV shows and loads of other content. Running Android 5.1 Lollipop brings the Ugoos AM1 a faster smother performance with greater security and users customizations. You also have the Google Play Store so you have access to over a million apps such as Facebook, YouTube, Instagram, Angry Birds, Minecraft, Clash of Clans and countless others. When it comes to storage for all your content the AM1 has 16GB of fast eMMC flash memory and a micro SD card slot supporting up to 64GB of extra storage, on top of that you can connect the device to memory pens and other external storage so you will have more than enough room for all your needs. With 3 USB ports, optical, LAN, Wi-Fi and Bluetooth it’s easy to hook this fabulous micro PC up to all your accessories making for a fully connected home media centre. The Ugoos AM1 TV Box comes with a 12 months warranty, brought to you by the leader in electronic devices as well as wholesale Android TV Boxes..